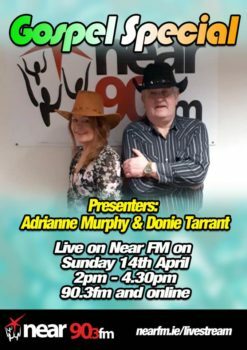 Donie & Adrianne present a Country Legends Corner Gospel Special. Listen to all the stars of Country past and present as they bring you the very best in County Gospel Music. 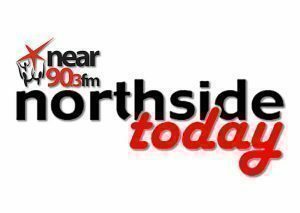 Sean McCabe, independent community candidate joins Adrianne to discuss his candidacy in the upcoming local elections being held in May. Thomas McPartlan and James Moran from the Finglas Youth Resource Centre join Adrianne in studio to chat and perform live ahead of their Irish Youth Music Awards competition.